For hundreds of years, Yerba Mate has long been a ceremonial drink of friendship, hospitality, strength, and courage to the people of the South American rainforest. This evergreen leaf is known for its pleasantly stimulating effect and for evoking a cheerful mental lucidity. 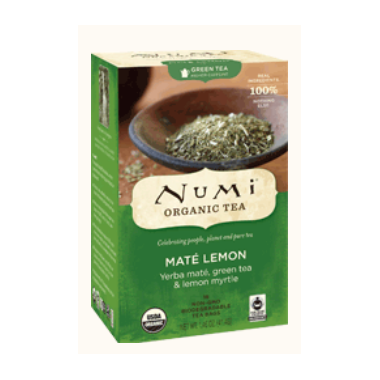 We are proud to introduce this delightful tasting infusion of organic Mate with the Australian rainforests' organic Lemon Myrtle, touted as herb of the millennium for its high citral content. Organic Chun Mee green tea, skillfully hand-rolled into the eyebrow contour of its name, unfolds a subtle, plum-like sweetness to the leafy lemon piquancy of Mate and Myrtle. This energizing blend uplifts one's senses, as clarity arrives like birdsong after fresh rain.